Gamification - the use of game design techniques and mechanics to solve problems and engage people - is now a managerial buzz-word. A recent special report in The Economist explores how the psychology of video games is being used by employers and researchers to improve performance in teams from the military to molecular research. Leaders often have to motivate teams to perform difficult tasks and expend considerable effort - both of which are also often required of game-players. So if you are a leader, you should study the motivations of game-players to see if some of those motivations can be harnessed in support of your team objectives. If people believe that what they are doing is leisure rather than work, they may want to do more of it and they may even pay - rather than seeking to be paid - to do it. While persuading employees to pay to work is likely to be unsustainable, team-members are likely to be more happy, loyal and motivated if they are getting psychological rewards as well as material ones. The idea that games are important in leadership and learning is not new. 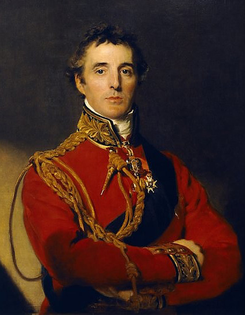 The Duke of Wellington said "The battle of Waterloo was won on the playing-fields of Eton" and the language of game-playing pervades management-speak: "raise your game", "gamble", "player" etc. 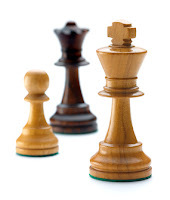 Chess - the archetypal game of strategy - evolved as an early war-game. It has been used both as a general learning tool and to focus strategic thoughts ever since. While I was a young military officer I was required to study scenarios in which I talked through TEWTs (Tactical Exercises Without Troops) with senior officers. This was a kind of game, but without friendly forces, let alone an enemy, it lacked the interactivity that is the appeal of the most successful games. A friend of mine discovered Command & Conquer, a computer game which required exactly the same skills - a grasp of the relative performances of friendly and enemy forces and equipment, an understanding of the terrain and weather conditions and a tight grip of the resource and logistic constraints. Perhaps the training budget might have been better invested in sending all young officers to play Command & Conquer. From urban design to corporate strategy, companies such as Codemasters and G2G3 are creating game-based services that help organisations achieve their goals by conducting low-cost experiments and simulations, training key decision makers and scenario-testing. But if you have a smaller budget there is a simple gamification technique you can apply in a wide range of situations. A key feature of most games is that they involve winning and losing. In other words, they give results. Recognising relative, competitive performance is essential to game-play, and all sorts of managerial tools reflect this from the use of sales leaderboards used to motivate salesmen to the honours system used to recognise civil servants. And of course those selected by competitive process to join a club often recognise each other with some token of membership such as a club strip or the green beret of the Commandos. I recently posted about the use of symbols in recognition in How to Boost Team Performance Without Increasing Costs. Leaders can give recognition in a wide range of ways from simple oral encouragement to elaborate displays - however it's done, recognition is a form of keeping score - reminding players of the progress they are making at times when the game is tough. And while that recognition may be costly in cash terms, it need not be. Many of the most highly prized rewards are virtually neligible in cash cost terms. The metal used to make Victoria Crosses (the highest award for courage in the UK) is scrap - recycled from guns captured from the Russians at Sevastopol. A still lower cost way to use medals to reward behaviour is demonstrated by the Army Rumour Service - ARRSE. The ARRSE website now attracts over 450,000 monthly unique visitors with its mix of news and views on defence and security topics and general interest. This social networking site was set up by some friends of mine who cleverly recruited a small army of moderators who manage the active discussion forums. These moderators and others who help with the running of the site are rewarded with medals that appear by their avatars on forum posts. It's not surprising that medals appeal to a community with such a strong military connection, and medals - virtual or real - will not deliver a sense of recognition for every team. But perhaps you can identify a comparable form of recognition that will resonate in your team culture. The UK Department of Work and Pensions has used gamification to improve its staff suggestion box, awarding contributors "DWPeas" - points that they can then allocate to other suggestions, both showing that their contribution is valued and recognising their role in crowdsourcing other good ideas. And it's not for the sake of a ribboned coat. So if you are leading a team, remember to smite your people on their shoulders from time to time - they'll raise their game if you do!